If you are a smoker, you would probably ask- why quit smoking? This is natural on your part as you might have your own reasons for smoking tobacco. According to scientific research, people smoke primarily for pleasure that later on leads to addiction to the habit. 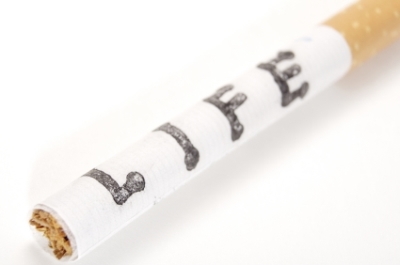 Smoking is also viewed as an immediate reaction to stress or anxiety by some. Once you are used to smoking a certain number of cigarettes at regular intervals, it is really difficult to curb this unhealthy habit. The moment you give in to societal pressure and think that ashtray smell is the latest perfume you should wear, beware that you are in for quite a few health issues in future. There are numerous reasons why one should stop smoking cigarettes. – The long list of diseases that smoking branded or cheap cigarettes can cause includes persistent bronchitis, varied respiratory illnesses, angina, ulcers, and diarrhea to name a few. Besides that, tobacco cigarettes contain more than 3,500 poisonous chemicals that a smoker happily inhales while smoking. – Nicotine is one of these and is very addictive. Over a period of time, the smoker’s body demands more Nicotine to create that relaxed and elevated state of mind as it develops a high tolerance level and cannot do with small amounts. Other than that, there is a risk of passive smoking for the family members and co-workers who share their home and workplace with you. Why do you want them to bear the brunt of your smoking habit? Any sensible person would never prefer that to happen. If you really care for your family and yourself you should really be serious about it and stop hunting for discount cigarettes online. If you are thinking about how to quit smoking then help is at hand. What you need is a strong will to overcome this habit of smoking. Of late, many de-addiction centers and medical professionals offer excellent help for anybody who wishes to quit smoking. Most of the times, if you have a great family support, you can always confide in them and ask them to keep a watchful eye on your smoking habits. After all, nothing heals you like love. When a smoker actually decides to stop smoking, he might have to face certain Nicotine withdrawal symptoms such as obstacles in concentrating, frustration, irritable behavior, and headache and so on. Hence it is better to first have a positive mindset keeping all the pitfalls in mind and then gradually quit smoking altogether after a time interval. Success always comes to those that do not stop trying.